With a large audience, the UT men’s hockey team took on the USA Women’s Olympic hockey team in an action-packed game on Friday night. 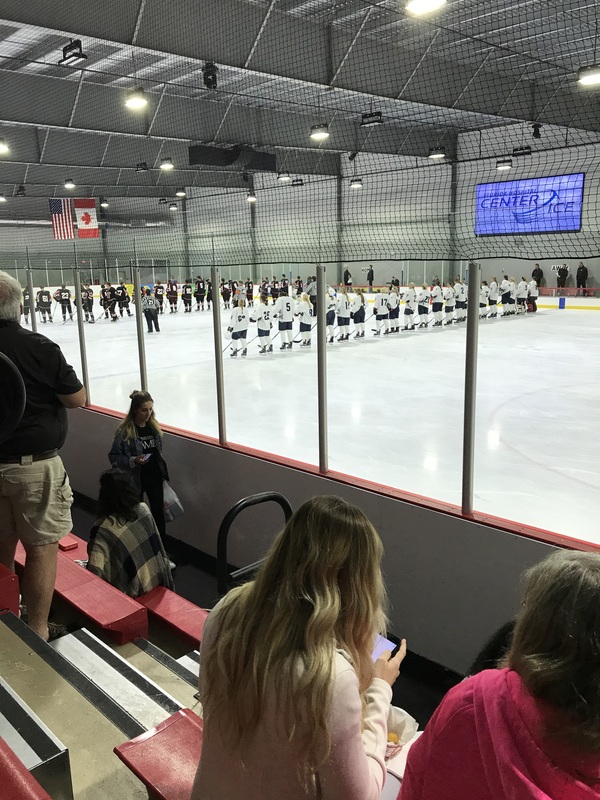 As part of the Olympic team’s resident program on their way to the 2018 Olympic Winter Games in Pyeong Chang, the two teams faced off in a memorable game in Wesley Chapel. Unfortunately for UT, they were on the losing side of the tilt, losing 9-1. Even with the normally brutal loss, the team was able to take away some positives from the spectacle of a game. The game itself posed some challenges for UT’s team besides the obvious gender divide. The game took place at Florida Hospital Center Ice, which is an Olympic sized rink. Wider than the NHL sized rinks UT usually plays on, the men had to adjust to the size difference. Along with the size adjustment, the men had to follow by a different set of rules, which included a no-check game. “The game was no check,” Kucera said. “American Collegiate Hockey Association hockey is full check. We normally play a physical game, which was not allowed in last night’s game. Olympic hockey officiating allows for more “stickplay.” ACHA officials in Florida do not allow this level of defensive stick-on-stick play, which makes controlling the puck more challenging. With a majority of the first period being an opportunity to feel out the other team and ice surface, UT’s captain Matthew Antonacci scored the period’s and the team’s only goal. Following the first intermission, the women came out with a competitive edge that resembled the type of games fans are used to seeing them play during the Olympics; fast, gritty and skilled. With all the talent on the opposing bench, UT held their own in a game that was anticipated to be lopsided. With a few timely saves and scoring chances, UT stayed in the game throughout, despite the final score. Putting aside the difference in genders, UT took on a professional team. Being a young collegiate team, taking on an elite professional team isn’t easy to do. This game may have been more of a warm up for the Women’s Olympic team before they play Olympic teams in the months leading up to heading to South Korea, but this was a learning experience for the players wearing the Spartan logo. As their season moves along, the schedule will get tougher and more grueling. With the experience of facing a professional hockey team, UT will be able to take both the positives and negatives from this game to improve. Being such a young team, any opportunity to learn and improve can make the difference in the standings.